Web database for scientific research that contains abstracts, tables of contents, and full text of Elsevier journal articles mainly in science and medicine, with some coverage of social sciences and humanities, particularly business, economics and psychology. 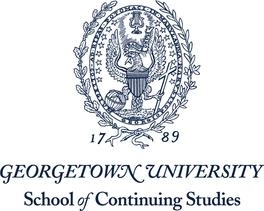 The full text of most journals is available to Georgetown users. You can search across all journals or browse/search in an individual journal. Note: As of 1/1/16, Internet Explorer users must use IE9 or higher; ScienceDirect does not support earlier versions. Offers scholarly research on current and emerging real estate issues published for members of the American Real Estate and Urban Economics Association. Topics include portfolio construction techniques, risk analysis, identifying buy/sell decisions, portfolio revision, past real estate investment studies, asset allocations for mixed-asset portfolios etc. Presents information on law, regulations, policy and analysis in real estate with special emphasis on Asian markets. Focuses on urban economics, housing, regional science and public policy. Coverage of real estate investment and financing techniques. Critical intelligence on financial restructuring, securitization trends, IRS rulings, REIT's joint ventures, commercial property valuation. US focused.